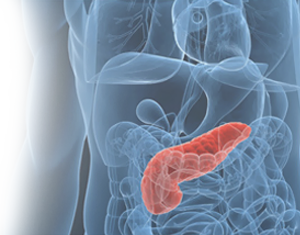 Download our free Pancreatic Disease Treatment Guide and get the answers you need. The nation’s rate of pancreatic disease is continuing to climb. When dealing with pancreatic conditions, patient-centered diagnosis and customized treatment plans are essential in order to provide the best quality of life. Cleveland Clinic has created a free treatment guide that provides the information you need to make the best decision when considering treatment for pancreatic disease. To schedule a same-day consultation, please call our team at 216.445.8319. Each year nearly 1,500 pancreatitis patients trust our Pancreas Clinic with their healthcare needs. Cleveland Clinic is ranked #2 in the nation for Gastroenterology and the top-ranked Cancer program in Ohio by U.S. News & World Report.